When a building is regarded as listed it means it has been recognised as being of special historic or architectural interest. And they certainly live up to their description, being buildings we hold a certain affection for as long-standing eyesores of the landscape. All of these buildings exist on a national register, which was started shortly after World War II. The list begun as a way of deciding which buildings required rebuilding after bombing as they possessed special historical or architectural importance. This listing enables protection of the whole property with the intention to preserve its historic or architectural significance. The listing also serves to acknowledge the buildings special value; that is value to the community and not what we would usually associate with property value these days. Although, listed buildings can carry higher values depending on its qualities. Grade 1 – these usually account for grand building types like stately homes or castles and are often something of exceptional interest. Only an estimated 2.5% of listed buildings fall under this category. Grade 2 – is the most popular type of listed building and typically involves houses, industrial properties, bridges or churches etc. 92% of all listed buildings feature in this class and are the most likely grade listing for homeowners. Grade 2* – are considered crucially important buildings of more than special interest. This can be because they hold the highest quality, are normally in original condition and likely could have been the former home of someone markedly famous. The Society for the Protection of Ancient Buildings. They are concerned with constructions dating back to 1700 and before. The Victorian Society specialising in Victorian and Edwardian structures built between 1840 and 1914. The Twentieth Century Society who cover any buildings built after 1914. With only 0.2% of listed buildings built from 1945 or later and 3% between 1900 and 1944. The rest of the UKs listed buildings are by majority older constructions that require special care. Therefore, regular maintenance is essential in order to avoid expensive repairs. It is common knowledge that buildings deteriorate with age, but because of the precious nature of listed buildings, taking care of your property is top priority, after all, it is a privilege that not many can experience. Check rainwater systems regularly, such as pipes and guttering and look for signs of vegetation as they often mean pipes are leaking. Keep your building dry. There is no greater risk to an older building than damp is this can eventually lead to serious structural problems. 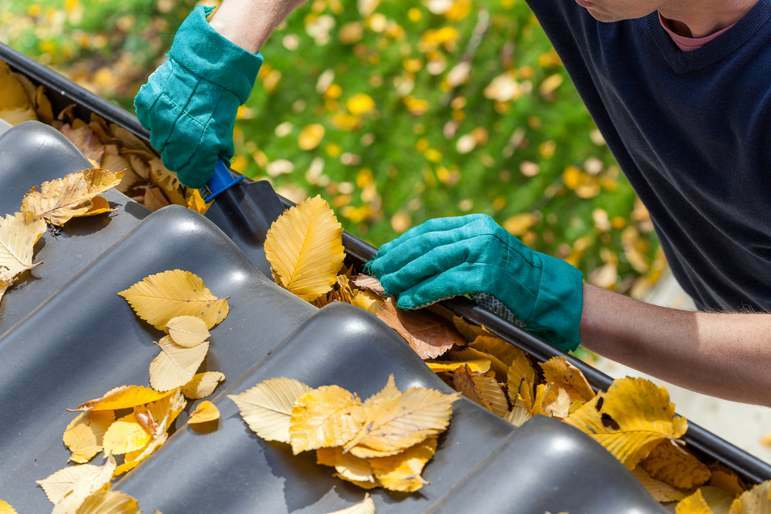 Look for leaky roofs and problems with coverings, downpipes and drains. Poor ventilation in any room of the house can lead to rotting timber and flaking plaster, which especially can be an issue for houses built pre 1900s. Maintenance plans are the best way of keeping track of the condition of your house. You can consider organising regular checks to identify any weak points. An often overlooked feature is services like electrical and plumbing systems, as these are outdated and may need attention, but are part of the historic fabric and charm of the property. You could also consider hiring professional surveyors to assess your property every couple of years for you if you don’t want to worry about maintenance. Anything more significant than small repairs may need permission, especially if it affects structural characteristics like roof tiling. So consult your local authority for advice before starting any repairs. 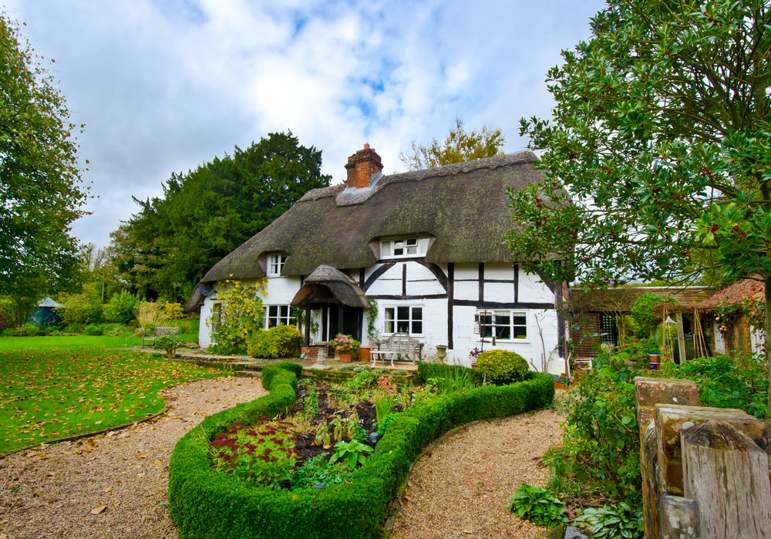 The extra effort required to maintain a grade listed building may seem tedious, but the main point to take away is if you already own a listed building or are interested in investing in one then you should see it as much more than a place to live. And if you don’t want to abide by the law or restrictions then perhaps a historic building isn’t for you. You are keeping a piece of history alive, so cherish it and look after it, a large part of the appeal of these buildings are their authenticity. So keep it well, enjoy it and you can pass it on for others to enjoy after you. Buildings insurance is always calculated based on the cost it would be to rebuild a property brick by brick as it was originally. Not the property value. As listed buildings use irregular building materials and methods because of their age, so they are classed as ‘non-standard’ insurance policies and carry a greater risk for the insurer and greater expense to you. Usually you will have to find a specialised insurer to provide you a listed buildings insurance policy. Premiums for listed buildings are more expensive than standard properties, so to help reduce the cost of your policy consider opting for a higher voluntary excess that you could afford to reduce the premium. This can be a very exciting part of acquiring or owning a grade listed property. It’s not just stately homes or castles that carry interesting and vast histories. There are a whole library of resources available to start you on your researching journey from archives to local history sites. You can establish two different avenues of research; identifying the houses occupants or the buildings architectural timeline. 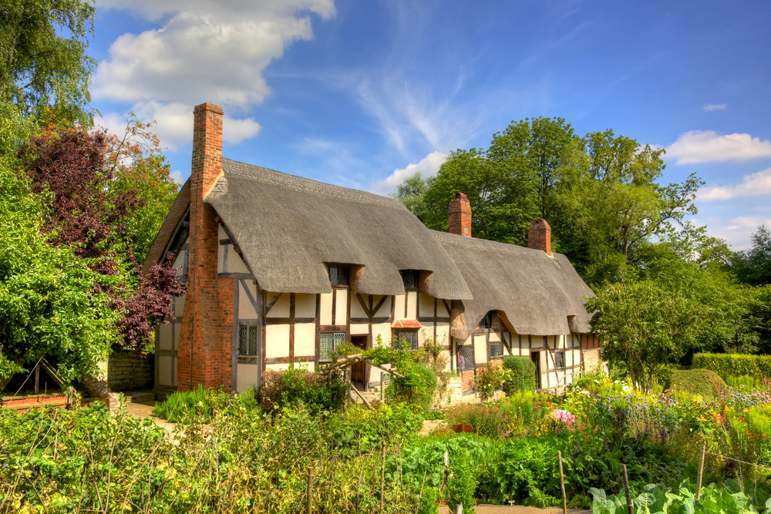 Anne Hathaway’s Cottage is located just outside Stratford-upon-Avon, England and is a Grade 1 listed building. This 15th century farmhouse, now museum is the birthplace of Anne Hathaway, William Shakespeare’s wife and is a superbly significant piece of literary history, being recognised as the place of William and Anne’s courtship, which could have inspired many of Shakespeare’s famous love stories that have been enjoyed for centuries and even still today. Benjamin Franklin’s house is tucked away within the City of Westminster at 36 Craven Street in London near Trafalgar Square. He lived at this Grade 1 listed building between 1757 and 1775, among his accomplishments during this time were charting the Gulf Stream, the concept of cooling and refrigeration, the earliest known description of a pro & con list and influencing the science of population studies. Not his most famed electric kite experiments though, these were conducted in Philadelphia in 1750. 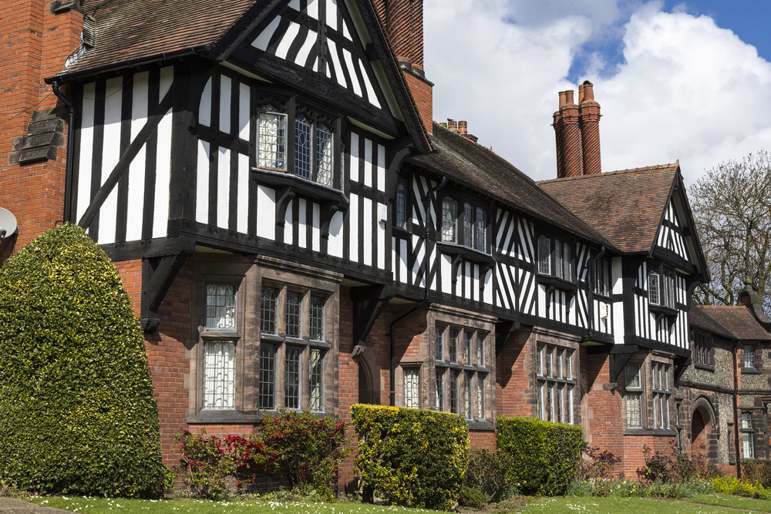 Historic England, the national heritage organisation responsible for grade listed building conservation, offer a number of grants to help protect the nation’s heritage. They offer repair grants for historic properties at risk. There are also National and Regional Capacity Building Programmes which offer funding to promote understanding, management and conservation of the historic environment. So if after reading this you definitely want to find a Grade listed building of your own then head to the Listed Property Owners Club to search for one of your own.